This instant classic T-shirt is 6.1 oz, 100% pre-shrunk cotton and is available in sizes M-2XL. 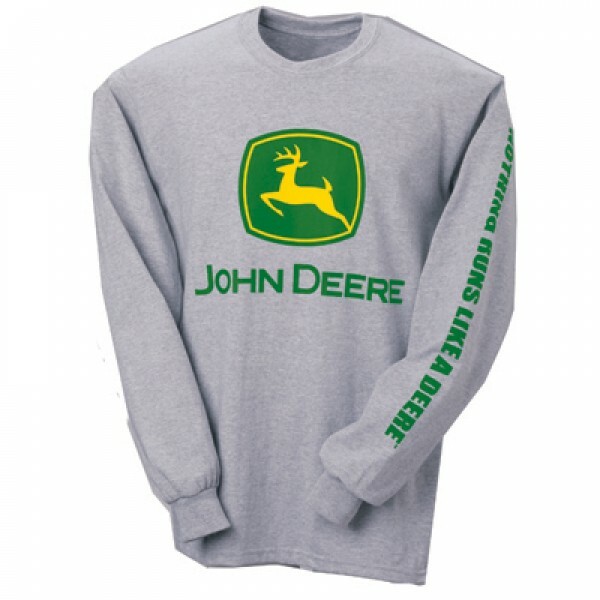 Classic John Deere sport grey long sleeved Tee-shirt is screen printed with the traditional yellow John Deere logo across the front and "Nothing Runs Like A Deere" down the left arm. This grey Tshirt will fit perfect in any clost and is one of the most popular shirts for men.